The mood in Marrakech was somber when top climate envoy for President Barack Obama Jonathan Pershing dropped a bombshell on observers gathered there: The rapid warming in polar regions the world is now witnessing may result in five feet--or 1.5 meters-- of sea level rise by 2050. Pershing had met earlier with State Department Secretary John Kerry in Morocco at the 22nd UN Conference of the Parties to the UN Framework Convention on Climate Change, or COP22. Kerry had just returned from a trip to Antarctica. According to Pershing, Kerry told him that the Pine Island Glacier in Antarctica "is moving very fast and when it goes, we will see 1.5 meters of sea level rise by 2050." "Five feet of sea level rise in less than 35 years -- that is really soon," said Pershing. "There are 65 million people now living in a state of conflict and 140 million who live less than 3 feet above sea level. Extrapolate to an amount two or three times the level of conflict we have now, and you see that this is a huge crisis. If we are lucky, we will have fewer people displaced, but I'm not optimistic that small island states can be saved." 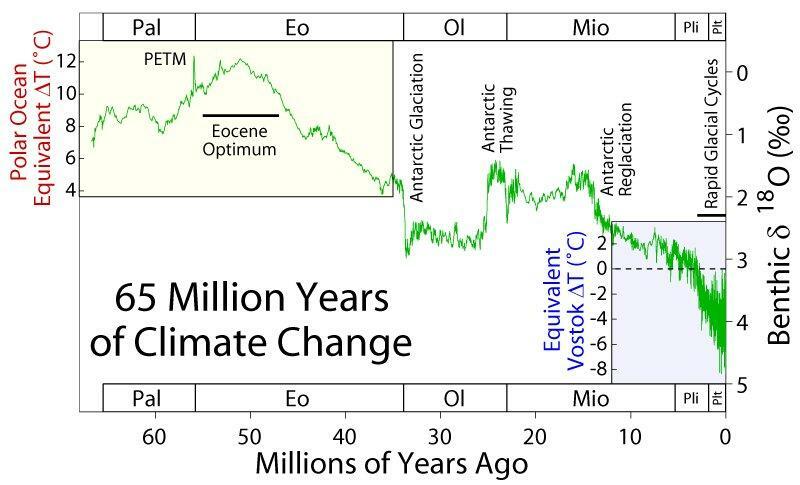 As if on cue, reports began to emerge in scientific circles that Antarctica's thawing was proceeding at a record pace, while Arctic temperatures were at a crazy 36 degrees Fahrenheit above normal. While the velocity around sea level rise seems to be accelerating, momentum around the Paris Agreement is also growing, with the United Kingdom joining 110 other countries in ratifying the agreement. 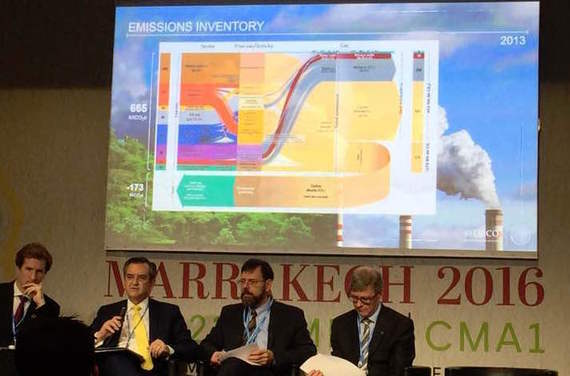 Pershing announced the White House's "deep decarbonization" plan in Marrakech. The U.S.now joins Canada, Mexico and Germany in spelling out their plans to slash greenhouse gas emissions by 80 percent by 2050. Pershing assured observers that the gathering global consensus, in government, business and financial circles, was unstoppable and that the rest of the world would continue to take action on climate change, regardless of Trump's actions. Indeed, should investors ignore the consensus, they risked investing in "stranded assets," he said. The challenge, Pershing said, would remain around issues of financing and development, helping those who are most disenfranchised and least responsible for climate change to face the climate challenge in developing countries. "New money will fall woefully short of what is needed," he admitted. "Our budgets have always been constrained, but it will likely only get worse." Pershing highlighted America's strength in the private sector, and the promise of green bonds for infrastructure and resilience, using public sector dollars to leverage private sector activity. He also emphasized that the U.S. State Department has been engaging with local officials around the country, who are on the front lines of the climate crisis. "They don't worry about whether or not you call it climate change; they worry about what to do," he said. Indeed, some cities are already acting on the Paris targets. For example, Portland, Oregon's City Council is voting in early December on a binding ordinance that would call for an end to all new fossil fuel infrastructure within the city's limits, while other cities, such as Canberra, Australia, are moving toward targets of 100 percent renewable electricity by 2020. Before departing for his next meeting, Pershing delivered one last bit of hopeful news: "The price of solar is now 2.4 cents per kilowatt hour -- less than gas and coal," he said. "The question is: How quickly can we scale it up. It's a race against time."